I just finished having a quite interesting conversation with a group of science teachers. It was a marvelous example of what I find to be so very wrong with science education in this country. It began with one of the teachers saying that they were annoyed with kids who ask questions and having to ‘dignify reactionary challenges to their science’ with an answer. He went on to say that if the evidence is good, which ‘it must be in order to be science,’ then answering student questions on these topics is a ‘waste of time better spent teaching’ science. Yet another called it ‘unproductive’ conversation. I found myself with only two men who agreed with me. We three declaring that students asking questions was a good thing. It shows they are engaged, we countered. A sad state, if I do say so myself. Amusingly, unsurprisingly, the 5 were all public school teachers and the 3 were all private teachers. Is it any wonder that I don’t want my children anywhere near a public school? Students should be exposed to the most common views in all subjects, particularly if they are in dispute. Without that attempt at balance you force a situation to take place where bias must become the norm. You force people to pick one point of view to teach, and you encourage an ignoring of alternate views. If there is argument about something, they should have the argument explained to them so they understand why it is taking place. If there are dissenting opinions about what some evidence means, they should have that discussed as well. For instance, if in a certain country the population is split on how they perceive the actions of a certain point in history, then both sides of that should be discussed. Whether historians agree is largely irrelevant. These children need to understand their own community and the discussions within it. It is the only way to avoid indoctrination over education. Educating is more than knowledge transfer. You have to teach children how to think critically. How to evaluate evidence, think logically, discern fallacies in arguments, to find truth. If you can teach them that, they will learn to do it everywhere. It applies to all subjects. Science is certainly not immune to this at all, there are many conflicting opinions and research in the scientific community over many different topics. I remember in my school years of debate classes we used to have to switch sides of an argument. We’d argue the opposing views for a while, then switch back. A useful technique, it resulted in building up our ability to argue our side. We better understood the opposing arguments. Years later I have found the practice of mentally stepping into the mindset of the opponent extremely helpful. Sometimes I even switch sides because I defeat my own arguments. You cannot fully argue for one side or the other until you understand the arguments relevant to both, and you can’t do that if you don’t even know that there is an argument going on. Yet isn’t that exactly what the public school teachers were arguing for? 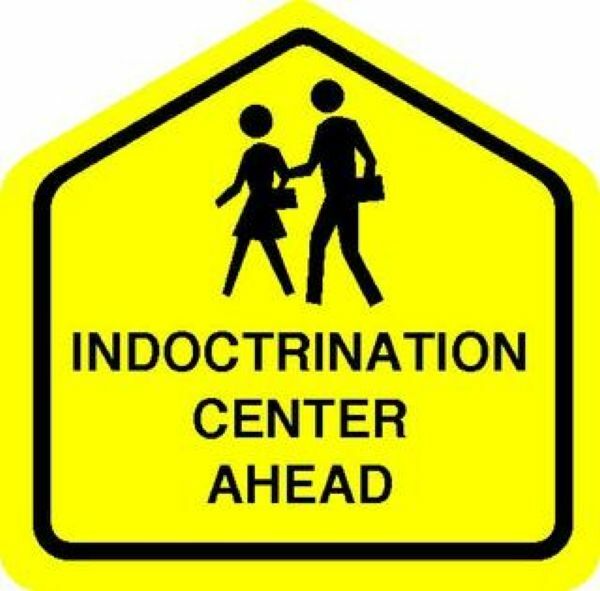 Not just indoctrination, not just blind subservience to a single point of view, but complete unawareness of alternative points of view. Let’s replace a few words to make this more inflammatory. 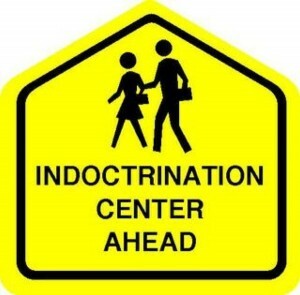 Indoctrination = brainwashing. Blind subservience = slavery. Unawareness = ignorance. Perhaps a good motto for the public school system. Public schools are a disgrace. They dont even require a MAT degree anymore to teach children. Garbage in, garbage out. The public schools are trying to be replacement parents. So they’re failing at that because they should be teaching not parenting. Except parents don’t parent. So schools don’t teach, they parent. Really stupid mess we’re caught in. It starts with screwed up home lives and carries into everything. We have to fix the family if we want to fix schools or the government will be the new parents.